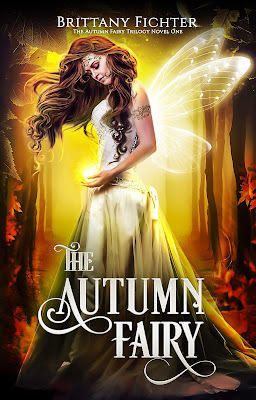 I took a break from the many fairy tale adaptations I've been reviewing lately to read The Autumn Fairy by Brittany Fichter. Brittany has a fairy tale adaptation collection of her own called The Classical Kingdoms Collection, but it's also refreshing to see an original story for a change. I first learned about Brittany's work at the Entwined Tales Launch Party on Facebook. She contributed An Unnatural Beanstalk to the Entwined Tales series, which is a retelling of "Jack and the Beanstalk." 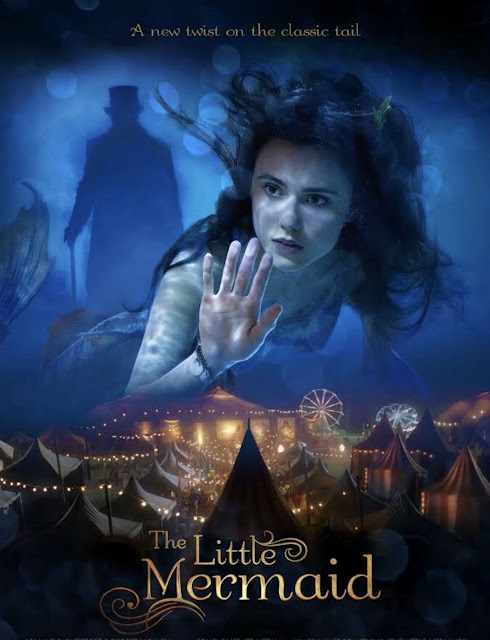 So far, the only book I've read from the series is A Little Mermaid by Aya Ling. I was excited to learn that Brittany is working on a trilogy about a fairy since adult books about fairies or faery princesses are something of a rarity these days. The Autumn Fairy starts out a little rough due to the lack of a proper introduction to the setting. However, Katy is such an empathetic character that it's hard not to become hooked despite knowing so little about her at first. When I finished the book, I learned there is a prologue available online that contains a better explanation of Katy's past, but it was unfortunately cut from the final draft in favor of making it more of a mystery. There also wasn't much magic at the beginning of the book, but Katy's powers grew gradually throughout the story along with the magic in the world around her. Katy, which is short for Katrin, grew up like a normal human even though she didn't know where she came from or why she had powers. Until she was twelve, she had the support of her childhood friend Peter to keep her mind off such things. After Peter left her for eight years, Katy was alone and frightened of the dangerous magic inside of her and what it might do to those around her. Though it was an original story, the book reminded me of several movies I've seen, such as Disney's Frozen, the Ah! My Goddess anime movie, and the Broadway show Wicked. It is a beautiful amalgamation of many different things that I love, but it is also surprisingly human. Unlike the issues I have had with many of K.M. Shea's books where the characters appear to have no emotions, Katy is painfully easy to relate to. Katy is afraid of her powers and tries to suppress them like Elsa from Frozen. Peter goes up against powerful forces to protect her despite being a mere human who seems to have no chance against such strong magic like Keiichi does for Belldandy in Ah! My Goddess: The Movie. Like Elphaba in Wicked, Katy is ostracized by the general populace and made out to be a villain because of the abilities that she was born with and never asked for. Despite the strong will she had as a child, it's hard for her to not let them get to her. Katy often prays to her god when she finds herself in situations that seem hopeless. She goes through so many internal and external struggles throughout the course of the story that it is very difficult to put the book down and suppress the desire to find out if she and Peter will turn out okay. The relationship between Katy and Peter is one of the most touching love stories I have ever read. Their love is constantly put to the test. They nearly give up so many times that the fleeting moments they have together felt incredibly rewarding. Their eight-year separation takes such a large toll on both of them both mentally and physically that is clear they cannot be their best selves unless they are together. Peter makes many sacrifices to be with Katy and finds her again just when she had lost hope. They both consider settling for other people at certain points in the story because there are too many forces trying to keep them apart because of the circumstances of their birth that neither of them had control over. However, as well all know, true love always comes through in the end. Peter plays just as large of a role in the story as Katy does, so his character never falls flat like many animated princes do. It's touching how much torment he goes through to protect Katy. The Autumn Fairy also had one of the best fantasy villains I've ever seen. Tearlach, who is the same species a Katy, comes up with a brilliantly wicked plan to use her to do his bidding. She comes dangerously close to succumbing to it. Though he does toy with her emotions many times like Hans from Frozen, he is a much stronger character and a very formidable enemy for Peter. Near the climax of the story, he seems to have become so powerful that any chance of a happy ending seems virtually nonexistent. It was a truly epic battle of good vs. evil, but without any of the clichés you would find in that sort of story. It hits a lot closer to home when so much of the darkness they are trying to defeat comes from within Katy herself. There is never a dull moment in this book, which is quite impressive considering its length. Brittany Fichter is still working on the next book in The Autumn Fairy trilogy, and I am very eager to read it. It promises even more fantasy and romance than the first one. Anyone who loves fairy tales but wants to read something original should definitely check out The Autumn Fairy. Though it's not a quick read, it is packed with suspense and emotion. For more stories about faeries, check out the book I wrote a few years ago, Rebirth: A Faery's Tale. It is about a fire faery who falls in love with a blacksmith and struggles with how she can get near him without burning him. Writing it helped me get through a difficult time in my life. Happy reading! I have always dreamed of being a writer and creating the next great fairy tale princess heroine. Princesses inspire us to be our best selves. While you're here, feel free to follow my page on Facebook, subscribe to my YouTube channel, and check out my books on Amazon. I'm also on Instagram and Twitter. Would you like to contribute to The Princess Blog? Become a patron, and you could pick the topic for my next post! LOVE that cover! I must get a copy! Today is a big day for both Rapunzel and The Princess Blog! 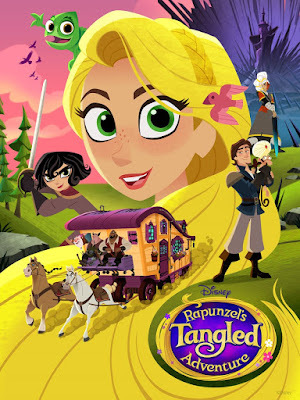 The second season of Tangled: The Series kicked off this morning in a big way with a new name and an exciting special called Beyond the Corona Walls. The show itself appears to now be called Rapunzel's Tangled Adventure even though the URL still has "Tangled: The Series" in it, and it's still listed alphabetically under "T" on the Disney Now show page. I am so stoked to be able to write about this amazing premiere for my 200th post. The Princess Blog has come a long way since my 100th post. Even though I stopped updating every day, I've still had at least one new topic to write about each week. I started a YouTube channel, weekly book reviews, and a relaunch of all the books I wrote. I'm very excited to bring you all the latest princess news and reviews for another hundred posts! It's no secret I love mermaid princess stories. Mermaids have the ability to transport us to another world where everything is calm, serene, and the impossible becomes possible. When I heard that Elena of Avalor was doing a special called Song of the Sirenas, my mermaid heart lit up with joy. I was even more excited to learn that one of my favorite actresses, Gina Rodriguez of Jane the Virgin fame, was playing the new mermaid princess, Marisa! This was actually not the first time that Gina got her fins wet, as she donned a mermaid tail in the very first episode of Jane the Virgin. 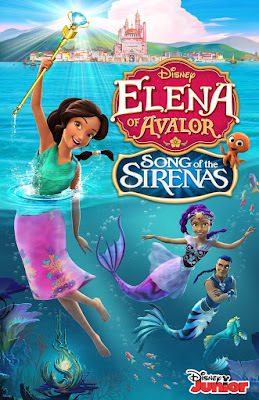 Elena's predecessor Sofia the First had a special about mermaids called The Floating Palace that featured mermaid princesses who made a few additional guest appearances in future episodes, but Song of the Sirenas was far from a rehash of The Floating Palace. 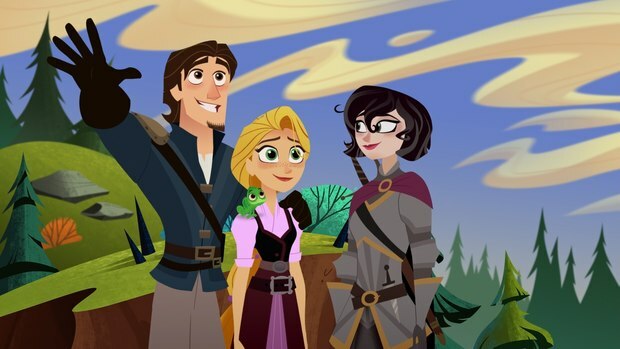 The rest of the second season of the Tangled series flew by like a whirlwind over the past six weeks and concluded today with the season finale special, Destinies Collide. Due to the show's erratic air schedule, I was hoping the season wouldn't end on a cliffhanger, but it did. I would be really upset about this if it hadn't been for all the great stuff in the episode leading up to it. 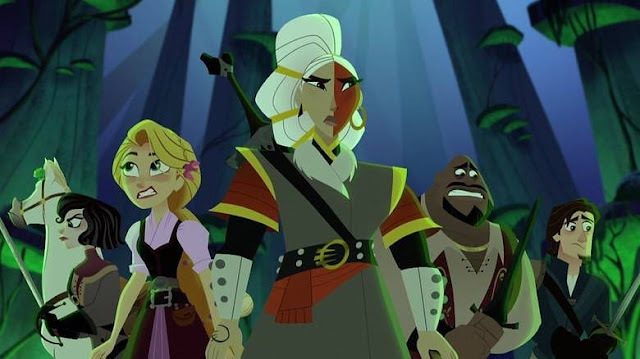 All of the big revelations and parallels to the Tangled feature made Destinies Collide a satisfying conclusion to the season. 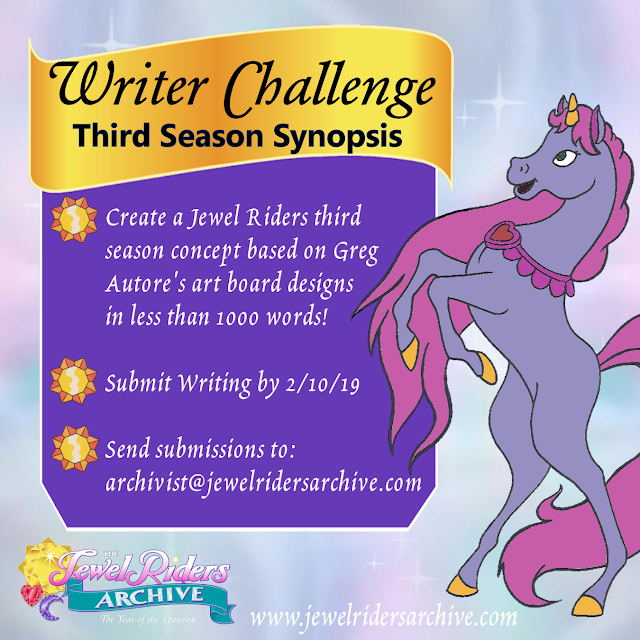 We know that everything will be fully wrapped up after the third and final season airs, whenever that may be, leading into the short "Tangled Ever After." There is a lot to unpack in this finale. It's hard for me to talk about it without spoilers, so I suggest that you go ahead and watch Destinies Collide before reading this if you haven't seen it yet. I'll wait. Is the Daughter of the Village Chief a Princess? Tomorrow night is the series finale of one of my favorite TV shows, Crazy Ex-Girlfriend. 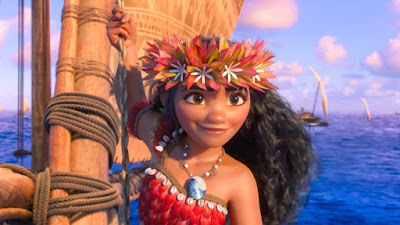 At surface level, this show might seem to have nothing to do with princess culture, but it is actually a deconstruction of many of the less empowering tropes introduced in some older princess movies and romantic comedies while still embracing the traits of these passionate women that we can all connect with. 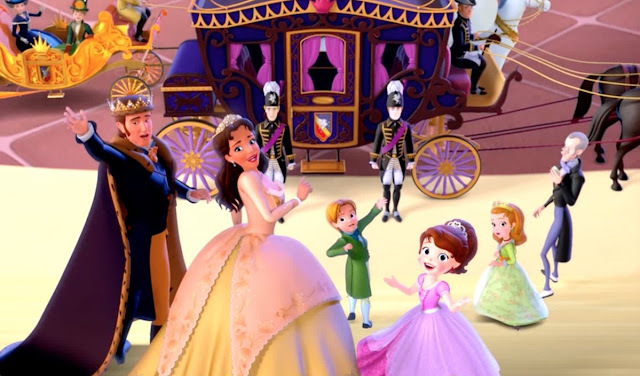 The show features several princess-inspired music numbers as well as a made-up Disney Princess movie called Slumbered that the main character, Rebecca, supposedly grew up with. Series star and co-creator Rachel Bloom does everything for her fans just like a real-life princess would. That's why the series finale tomorrow night will be followed by a concert special that Rachel cordially invited all her fans in the Los Angeles area to attend as audience members. I just happened to be one of those lucky fans. Would you like to contribute to The Princess Blog? Become a patron, and you could pick the topic for my next post! Do Princesses Ever Get Angry? The Renaissance Faire Is in Town! What's With All the Unicorns?